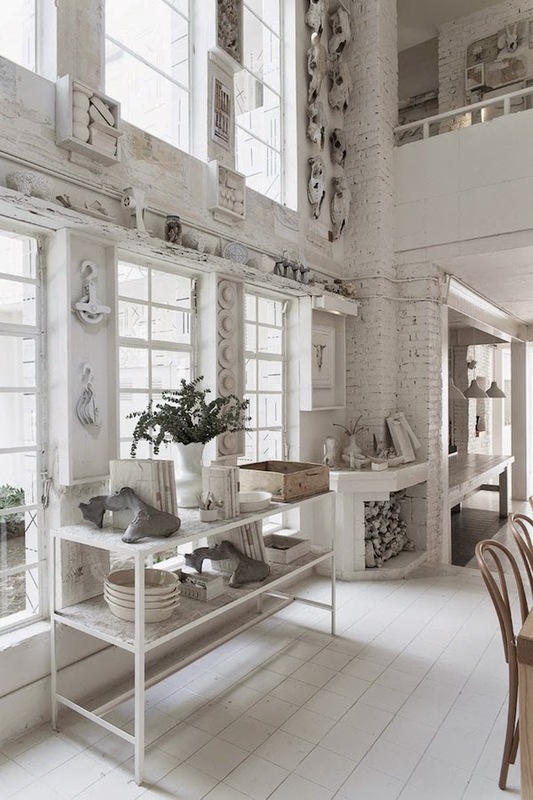 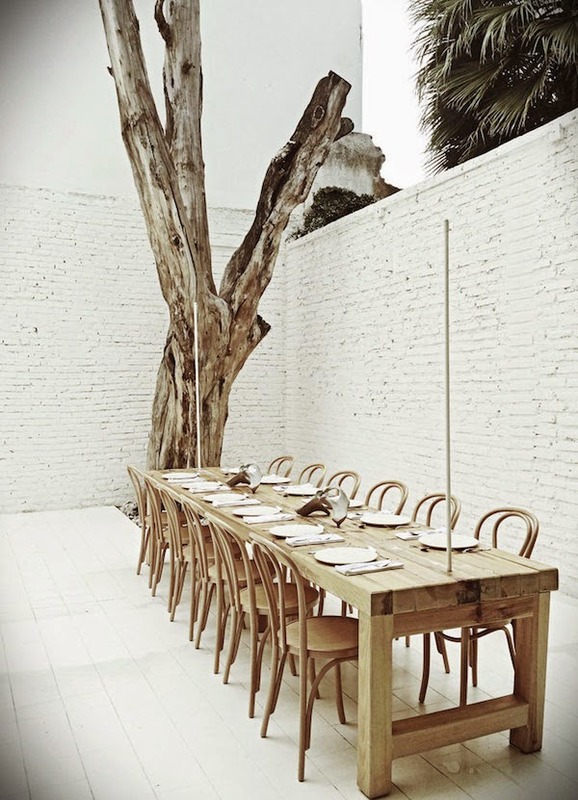 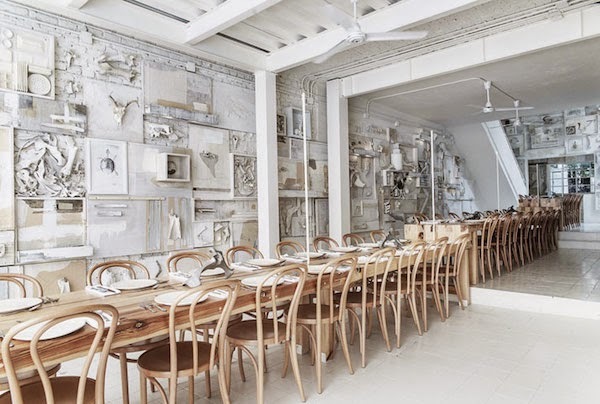 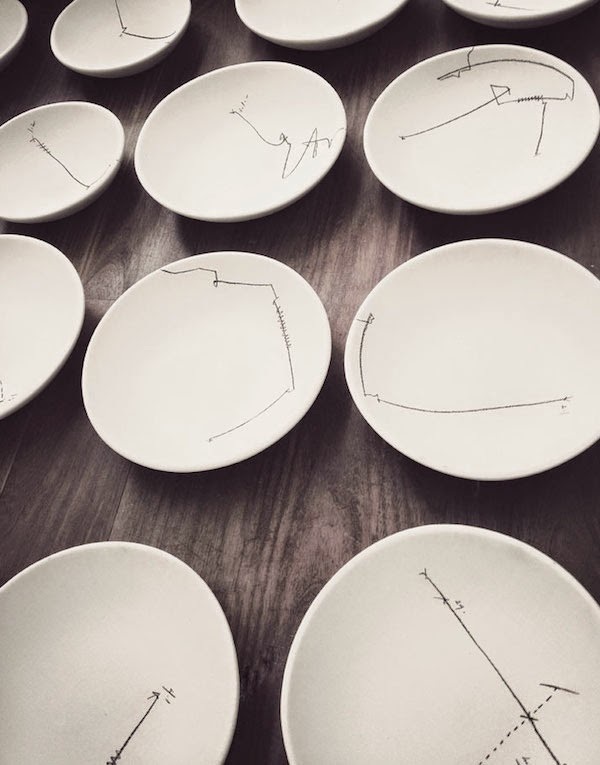 vosgesparis: An extraordinary white restaurant like you have never seen before! 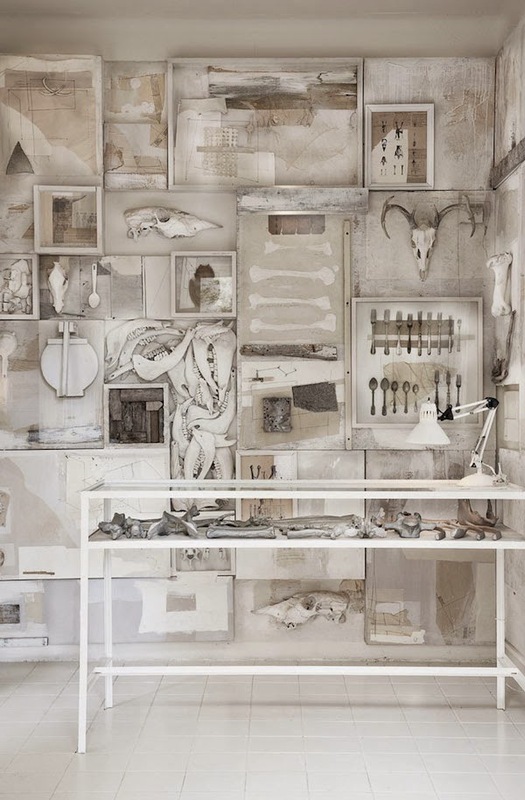 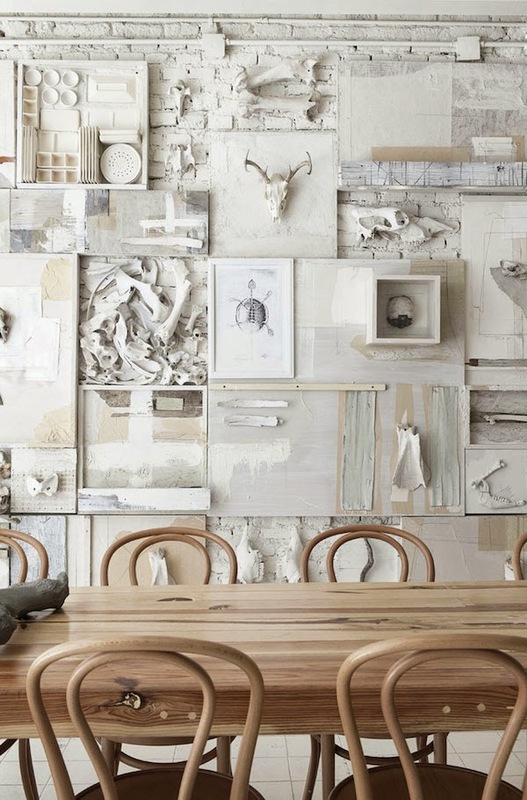 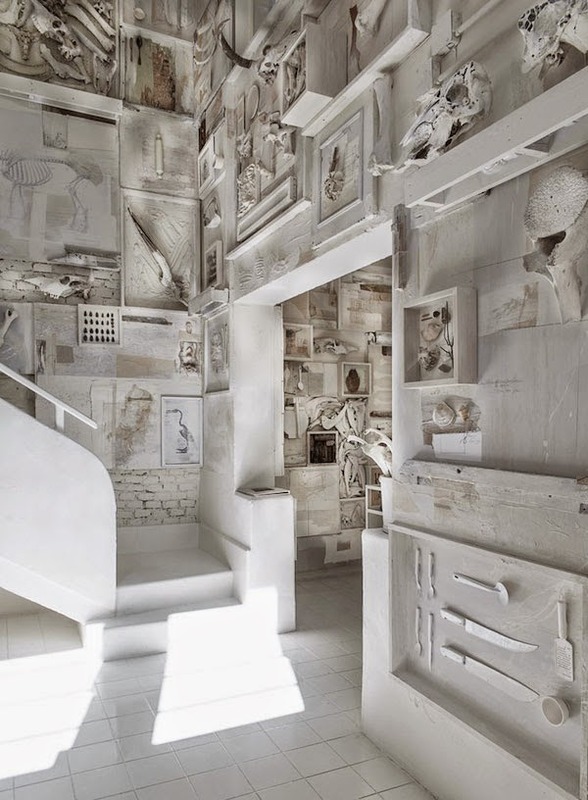 Inspired by Darwinism celebrity chef Alfonso Cadena and his brother's studio created the interior with walls covered in over 10,000 cast aluminium animal bones mounted on timber blocks turning the restaurant in one huge art installation. 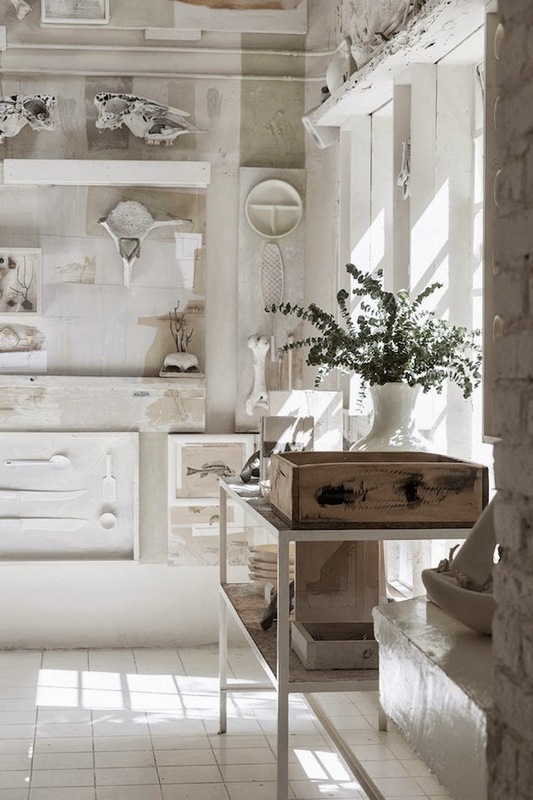 Every piece on the white painted exposed brick wall including pipes, bones and cooking utensils is covered in layers of paint.